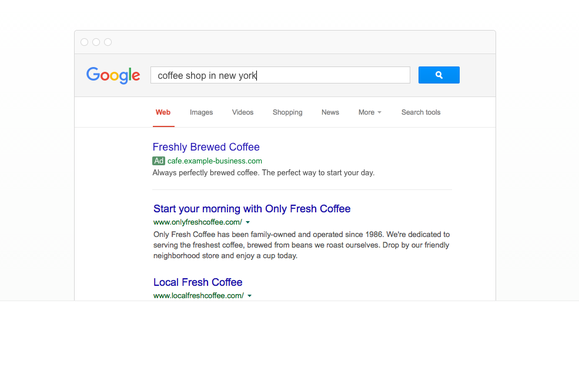 Google has officially launched new AdWords updates. These updates are designed to help advertisers take advantage of the move toward a mobile-first world. 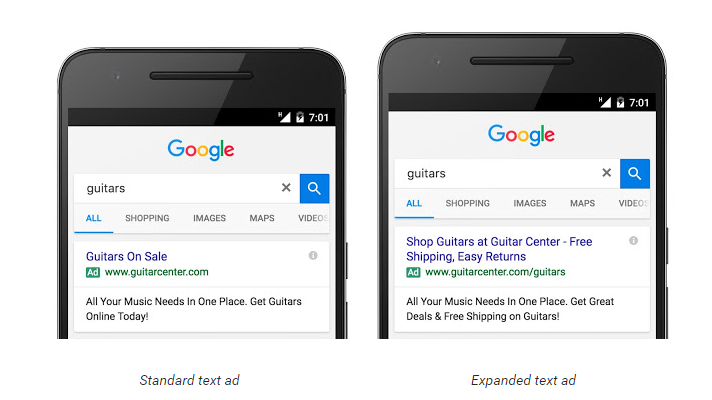 Expanded text ads, Responsive display ads, and Device-specific bidding are now available to all AdWords advertisers. Expanded text ads feature two 30-character headlines each and one 80-character description line. The ads will be optimized for the screen sizes of the most common smartphones. This is a 50% increase in ad text for your products/services in comparison to standard text ads. Google endorses using expanded text ads as soon as you can because on October 26th Google will be discontinuing the standard text ads. Responsive display ads adjust to the screen size of mobile devices that advertisers can view ads on. The new ad features 25character and 90 character headlines, a 90-character description, an image, and a landing page URL. 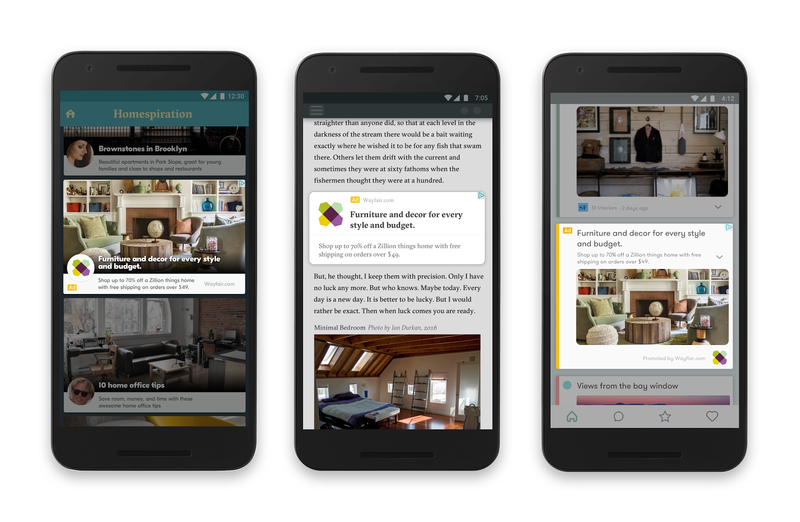 Google design ads optimized over two million apps and websites across the Google Display Network (GDN). Google is hoping that responsive ads will “seamlessly fit” within the sites and apps consumers select to visit. They are meant to provide consistency and engagement for consumers. Google roll out Smart Bidding, a new umbrella under automated bidding tactics including Target CPA, Target ROAS and Enhanced CPC in AdWords and DoubleClick Search. In device bidding features, marketers will be able to set individual bid adjustments for each device type like mobile, desktop, and tablets. To optimize at scale across this wide range of contextual features, marketers should take advantage of automated bidding. Automated smart bidding will also be accessible to “set more informed bids” by factoring in contextual features like location, time of day, and audience. Google has redesign AdWords, offering new features like expanded text ads, responsive ads, and device bidding to help marketers in this new age of advertising.